Our Innovative Energy-Saving LED Driver Saves Up to 20% of Power! 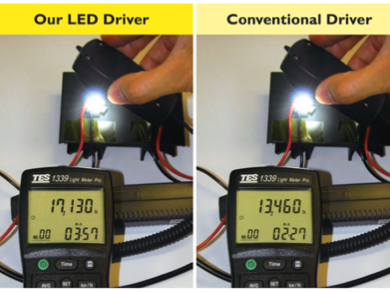 Energy-Saving LED Driver Saves Up to 20% of Power! Modern high-brightness light-emitting diodes (HB-LEDs) are typically made from hetero-junction or quantum-well devices with a narrow bandgap active layer sandwiched between two wide bandgap barrier layers. Under forward bias condition, free carriers, holes and electrons, are injected from the p-type or n-type barrier layers into the active layer where they subsequently recombine to emit light. Ideally, when the non-radiative recombination processes are neglected, all injected free carriers in the active layer will eventually recombine radiatively and produce light output with 100% internal quantum efficiency. For a p-doped active layer, for example, the power emitted from a unit volume of the active layer having a width of d and under an injected current density of J is given by . Therefore, the power emitted Pact is proportional to the injected current density J. In practice, however, this is only observed when the injected current density is low. Under high current density, a condition that typically exists in today’s HB-LEDs, the optical efficiency decreases with increasing current density as some non-radiative processes become important and begin to degrade the optical performance of HB-LEDs. This effect is known as the efficiency droop. Fig. 1: Illustration of efficiency droop of LED. 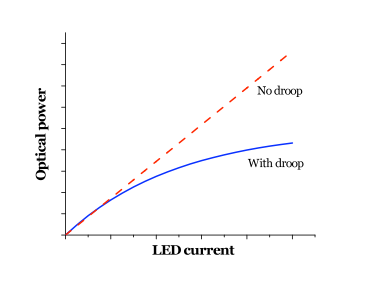 In general, efficiency droop describes the reduction of the internal quantum efficiency of LED with increasing injected current density. Its impact on nitride-based LEDs is of intense research interest worldwide due to the applications of these LEDs for general lighting. Until now, no conclusive answer is given to the important question of what causes the efficiency droop. Several explanations have been proposed in recent years, and they are briefly reviewed here, but none has gained a wide acceptance. The search for the ultimate answer is ongoing. Fig. 2: Illustration of radiative and non-radiative processes in LED (adapted from ). Shockley-Read recombination describes the capture of free carriers at the centers of lattice defects, where the carriers recombine non-radiatively with energy converted into lattice vibrations. Under high injected carrier density, more carriers may be captured at these defects and lead to decrease in radiation efficiency. This type of recombination is also favored by the increased junction temperature under high injected current density. Auger recombination occurs when the energy released during an electron-hole recombination is transferred to a nearby free carrier, electron or hole, which is excited to a higher energy level. The excited free carrier then loses the excess energy to lattice vibrations without emitting photon. Since a nearby free carrier is readily found when the injected carrier density is high, this mechanism can become important under high injected current density. Electron leakage is caused by the presence of more energetic electrons having sufficient energy to surmount the barrier height introduced by the wide bandgap p-type layer. Under high injected current density, the active layer is flooded with carriers and, as a result, carrier overflow occurs and a further increase in the injected current density does not increase the carrier density or radiative recombination rate in the active layer. Electron blocking layer is implemented to reduce electron leakage but researchers found that its effectiveness can be weakened by the built-in polarization electric field in nitride-based LEDs. J. Piprek, “Efficiency droop in nitride-based light-emitting diodes,” Physica Status Solidi A 207(10), 2010, pp. 2217–2225. The basic principle of our driving technology is explained in the next page. 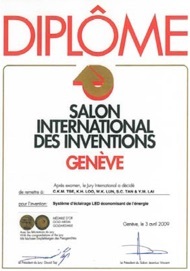 In 2009 and 2013, the bi-level driving technique and the video wall driving design had both won the Gold Medal in the International Exhibition of Inventions, Geneva, Switzerland. 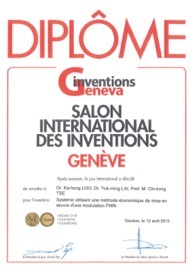 It has also been patented in the U.S. in 2010* and has immediately attracted interests from the industry. 1.X. Lv, K.H. Loo, Y.M. Lai and C.K. Tse, "Energy-saving driver design for full-color large-area LED display panel systems," IEEE Transactions on Industrial Electronics, vol. 61, no. 9, pp. 4665-4673, September 2014. 2.K.H. Loo, Y.M. Lai, S.C. Tan and C.K. Tse, "On the Color Stability of Phosphor-Converted White LEDs Under DC, PWM, and Bi-Level Drive," IEEE Transactions on Power Electronics, vol. 27, no. 2, pp. 974-984, February 2012. 3.K.H. Loo, Y.M. Lai, S.C. Tan and C.K. Tse, "Stationary and Adaptive Color-Shift Reduction Methods Based on Bi-Level Driving Technique for Phosphor-Converted White-LEDs," IEEE Transactions on Power Electronics, vol. 26, no. 7, pp. 1943-1953, July 2011. 4.S. C. Tan, “General n-Level Driving Approach for Improving Electrical-to-Optical Energy-Conversion Efficiency of Fast-Response Saturable Lighting Devices,” IEEE Transactions on Industrial Electronics, vol. 57, no. 4, pp. 1342-1353, April 2010. 5.W-K. Lun, K.H. Loo, S.C. Tan, Y.M. Lai and C.K. 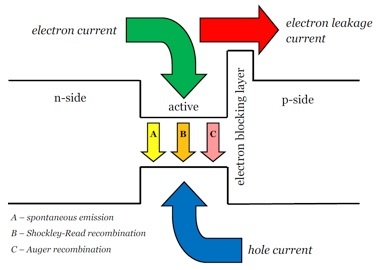 Tse, "Bi-level Current Driving Technique for LEDs," IEEE Transactions on Power Electronics, vol. 24, no. 12, pp. 2920-2932, December 2009. 6.K.H. Loo, W-K. Lun, S.C. Tan, Y.M. Lai and C.K. Tse, "On Driving Techniques for LEDs: Towards a Generalized Methodology," IEEE Transactions on Power Electronics, vol. 24, no. 12, pp. 2967-2976, December 2009.